We have the annual delight, pleasure and privilege of unveiling the new coins that will hit circulation in the year to come – working (as we do) with The Royal Mint. 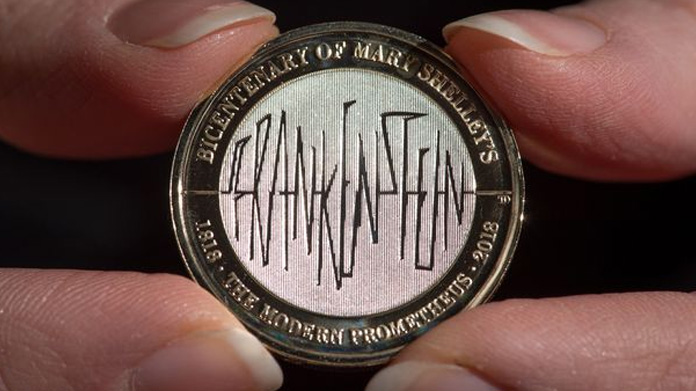 As has become something of an annual tradition therefore, we unveiled coins that mark the anniversary of Mary Shelley’s Frankenstein, the RAF, Women’s Suffrage and Armistice. We help The Royal Mint to show off the beauty of the coin designs, as well as ensuring that the public understand the craft that goes into making these mini-masterpieces that mark the major moments in British culture. With a spot of hard graft from the team across the Christmas season, we awoke on New Year’s Day to wall-to-wall coverage with really rather exception pieces across The Times, Daily Telegraph, The Sun, Daily Mirror, Daily Express, Daily Star, the I Paper, Daily Mail, The Herald, The Scotsman and Daily Record – along with a list of regionals too numerous to mention. At the same time, there are pieces popping up all over the place online so you can have a look at the coins that will appear in your pockets over the course of the year to come by reading any of the pieces on The Times, Daily Mail, Daily Express, The Sun, Daily Mirror, METRO, Evening Standard or Herald. Combine that with appearances across the broadcast news that include ITV, BBC News (thanks Breakfast!) and SKY News (Sunrise) and it’s been a pretty good start to the year so far!